Winter is definitely here and was in full force at Waipuna Park for the 2018 BOP/ Mid Island Secondary School Cross Country Championships. Over 260 students entered the event but the weather was a major factor in not all attending. 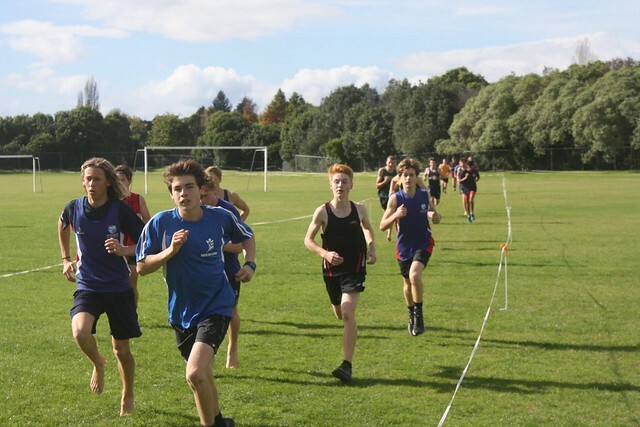 Competitors really enjoyed the event and said compared to their school championships it was held at a good time for their training season - especially for their preparation for the Waikato BOP event in Taupo next month. The students who participate in cross country say they love running different courses, espeically taking in the scenic views of our beautiful country and the challenge of pushing their bodies to the limit. At the end of the race, athletes often cannot speak as they've left every bit of energy out there on the course. It's amazing to watch the competitors, who are extremely fit, make running look as effortless as walking. It was an awesome day and very unpredictable with all of the competitors giving their best - anything could have happened! Well done to all students who participated and finished the demanding course. Thank you to Tauranga Boys College for hosting such and amazing event. Congratulations to all the winners.